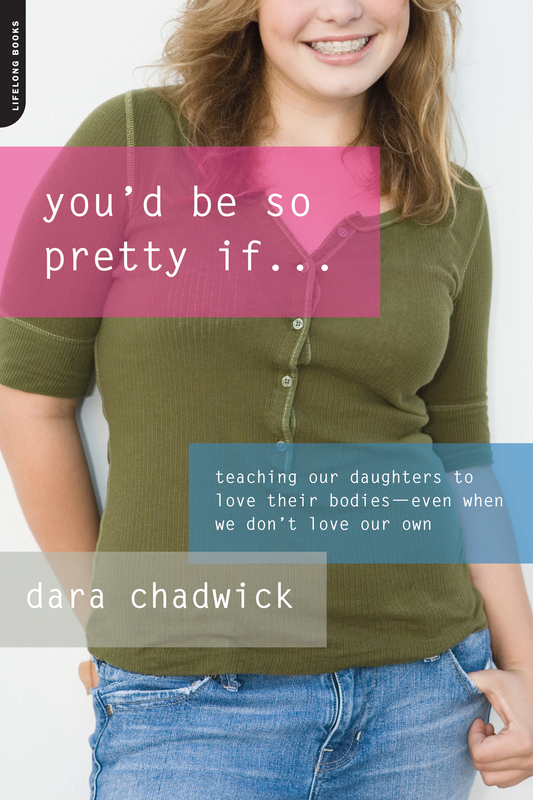 Via Roni’s recent Facebook post, I found this new book about body image (and what we’re teaching our children) that totally piqued my interest, You’d Be So Pretty If … by Dara Chadwick. SHAPE magazine readers might remember her as a former weight loss columnist. I loved reading her journey, and am naturally intrigued by the topic of her book. You can check out her blog here. Her publisher has been sweet enough to send me a copy to review, and an extra as a book giveaway for one of my readers. And after I receive and review the book, Dara will be stopping by for a blog tour! Next postA Life Without Surprises? I would love to read this book. I’m nowhere near motherhood BUT I know it’s something that I worry about when the time comes. I do not want the same issues and thoughts I have to affect my future children in any way, and I’d love to hear some inspiring words about dealing with it. I would love to win this; I can’t wait to read it. I’d love to have this book and read it! I’m really interested in what the author has to say in the book. id love to read this book. my father said this to me (innocently!) just last week actually. “if you gained 10 lbs you’d be miss america!” i said, can’t i just be pretty now? I’d love to read this book — looks like something I’d pick up myself! Book looks interesting, I’d like to read it! I’d love to win! I follow the authors blog and would love to read her book! Hi Lissa! I’d love to enter to win! Throwing my hat into the ring for the book… Love your blog. Was referred by Tony’s page @ Anti-Jared. You can submit until 10 p.m. Eastern time tonight! 3 daughters (18, 16, 12) as well! I’ve heard about this book and it looks quite good. I’have noticed myself that things my mom told me when I was in my teen years have resurfaced I never thought much about them at the time but I think of them now and the funny thing is that I am actually trying to get to the weight that I was during that time. This book sounds like an interesting read. Thanks for the giveaway opportunity! Thanks everyone! My husband picked a random number from 1-25 and he chose 7, which was YogibearClare!! Oh I would love to read this, thanks for the chance to win! I would like to win – thank you! I would love to win this. I’ve heard that phrase more times then I care to remember.